Scottish Pipers For Hire is a network of award winning and competition standard bagpipers based all over the UK. Since the launch of the website in 2010, we have supplied pipers for countless traditional events including weddings, birthday parties, and funerals, etc. Other events have included multicultural days in schools, fundraising events, corporate dinners, Armistice Parades, Burns Suppers and Hogmanay parties. Major events have included The 2012 London Olympics. 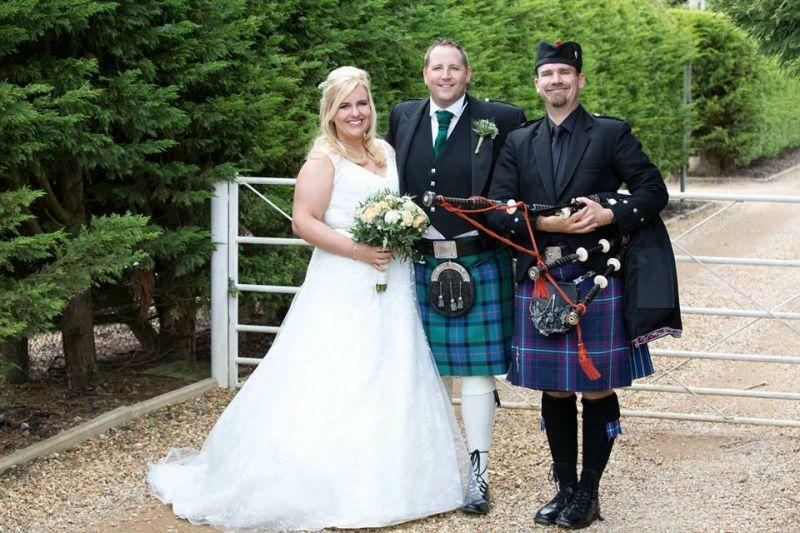 Scottish Pipers For Hire features only hand-picked pipers that we guarantee will play to an exceptionally high standard and give you the best highland bagpiping experience. As professional bagpipers ourselves we know which qualities to look for when picking pipers. We don’t just supply pipers with a high level of skill at playing the bagpipes, we supply pipers that have great experience performing at all kinds of public and private events. Our pipers dress immaculately; and are 100% RELIABLE. Our pipers cover the whole of the UK and Ireland. We can supply solo pipers, duos, a piper and a side drummer or a whole pipe band. We can also supply ceilidh bands and highland dancers to help give your event that extra Scottish feel.